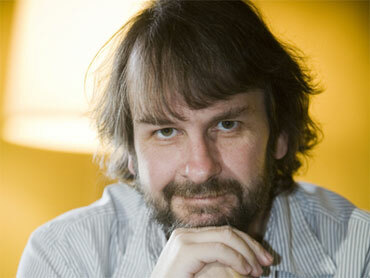 Peter Jackson is driven by a deep-seated neurosis: The fear that his films are terrible. Now, the director who won legions of devoted fans and Oscar glory with his mega-grossing "Lord of the Rings" movies is facing those fears times three: He's spent the past year juggling aliens, Hobbits and a dead teenage girl in an oddly mismatched trio of major movie projects. And if the sheer workload weren't enough to keep the 47-year-old filmmaker on edge, he's also grappling with lofty expectations. Chief among them, his own. "You're always imagining the best and then you always have to compromise for what you get in the real world," he said in an interview at Comic-Con, where he made his debut appearance to promote the alien-action thriller "District 9." "It's a process of constant disappointment," he added, "but somehow you have to hope that you set your goals high enough that even with the disappointment, you still end up with something that other people enjoy." Jackson finished the screenplay for the first "Hobbit" film this month. He wrote, directed and produced "The Lovely Bones," set for release in December. And he produced and served as mentor on "District 9," which arrives in theaters Friday behind great pre-release buzz. "I get involved in films I'm inspired about," he said. "I get involved in movies that I want to see. That's really the bottom line." His involvement in "District 9" came through an unsuccessful attempt to adapt the popular "Halo" video game into a feature film. Jackson was working with first-time filmmaker Neill Blomkamp when "studio politics" killed the project, so the two channeled their energy into "District 9," based on a Blomkamp short film "Alive in Jo'burg." "District 9" tells the story of an alien ship that mysteriously comes to hover over the South African city of Johannesburg. Its inhabitants are separated from the human population and segregated into a walled area known as District 9. But after nearly 30 years, government officials aim to relocate the extraterrestrials - and the aliens aren't too happy about it. "It's based on what would happen in a society if aliens had landed, but instead of bringing us incredible things, they just brought us problems," Jackson said. "One of the things I like about 'District 9' is that we often don't think about aliens in this way. They're just hopeless aliens. They're escaping from some horrible experience of theirs. ... They're docile, but directionless." Jackson had never taken on a mentoring role before, but he was "intrigued" about the prospect. "I was interested as to whether I'd enjoy it or get frustrated or wish I was directing it myself, all that sort of stuff," he said. "I enjoyed it a lot ... I thought the best thing I could do was to keep throwing ideas at him, but he, ultimately, had the final decision." All the while, Jackson was shooting "The Lovely Bones" in his native New Zealand, a film he describes as among the most dramatic and emotional he has made. He cried when he read the book and knew its profound effect on him made it ripe fodder for the big screen. The 2002 novel by Alice Sebold tells the story of a teenage girl who is raped and murdered, then watches from the afterlife as her family grieves and her killer prepares to strike again. Jackson's film is "very much my take on the book I read and what that book did to me emotionally," he said. "I wanted to somehow translate that and put it on film and share it with other people." Originally slated for release in March, the movie was held up by the studio until December. The reason, Jackson openly acknowledges, was for a run at awards season. Jackson spent the past several months writing full-time and was pleased at how quickly he was able to re-immerse himself in Tolkien's world. "It was just like writing Bilbo Baggins, Gandalf, all the old favorite characters," Jackson said. "We just clicked straight back into Middle Earth again." Though the filmmaker has enjoyed tremendous success with the material, he was worried before each of his "Lord of the Rings" films was released. "We made 'Fellowship of the Ring' and thought it was terrible and then that film did well," he said. "Then, 'The Two Towers.' We thought, `god there's so much expectation' ... and then that film, we thought it was so terrible that we worked and worked and worked at it. And then 'Return of the King' was terrible and we worked and worked and worked.